As part of TCM’s Summer Under The Stars event taking place all throughout August, today marks an entire day, with a collection of 12 of films, devoted to Katherine Hepburn. 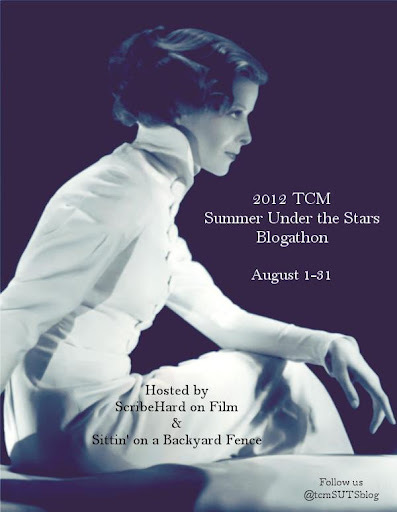 To promote this mega cinematic event on Turner Classic Movies this month, Jill of Sitting On a Back Yard Fence and Michael of Scribe Hard are hosting the #SUTS Blogathon which can be followed on either of their sites or via twitter @TCMsutsBlog. 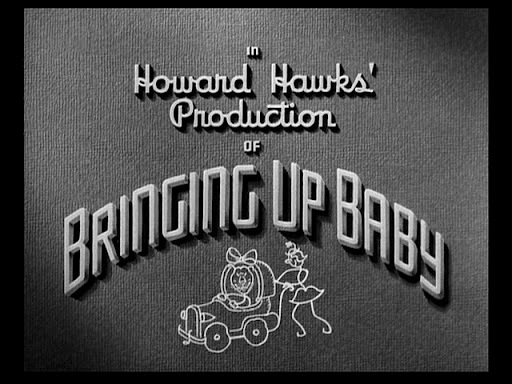 I happily join the blogging fun by discussing my enduring love for a screwball comedy classic, Howard Hawks’ BRINGING UP BABY (1938). You can kick-off your weekend in style with this madcap romantic comedy at just past midnight, 12:15am EDT early Saturday morning. BRINGING UP BABY is a film I have placed in my all-time ‘top 10’ of classic films since my grade school days. It belongs in the collection of one of my earliest film memories. Katherine Hepburn stars as Susan Vance, the eccentric and quirky heiress. Cary Grant stars as Dr. David Huxley, the scholarly zoology professor/ paleontologist. 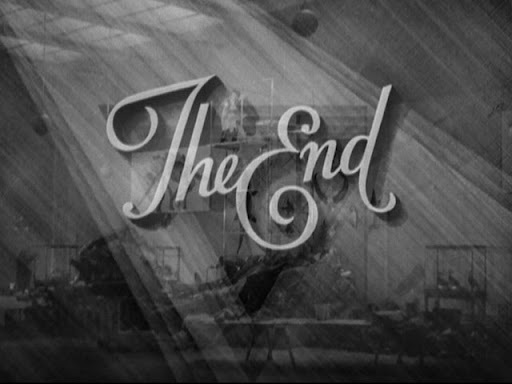 The supporting cast includes familiar character actors like Charles Ruggles, Walter Catlett, Barry Fitzgerald, May Robson and even Asta as George the dog plus a slew of uncredited well-known’s such as Ward Bond and Jack Carson. Our story begins when mild-mannered David is seen working on his enormous brontosaurus skeleton as he enthusiastically reveals the good news that an intercostal clavicle bone has been found to complete his construction, years in the making. We discover he recently became engaged to his assistant, Alice Swallow. However, it quickly becomes evident that Ms. Swallow is far from the romantic type of gal and only shows interest in his work. In order to finish this major project, David must acquire a million dollar endowment for which he intends to persuade wealthy dowager Mrs. Carleton Random via her attorney, Alexander Peabody. As David attempts to meet with Mr. Peabody to impress and persuade him to make this heavy investment, a chaos-creating Susan unintentionally throws distractions and obstacles at every turn. One of the many obstacles is the arrival of ‘Baby’, the tame leopard Susan’s brother sends from Brazil, as a gift pet to her Aunt Elizabeth. David soon learns that daffy Susan is his key to meeting Mr. Peabody as she knows him as a close family friend (but she calls Mr. Peabody, ‘Boopy’). After Susan helps ensure that David makes a poor impression on her Aunt Elizabeth, David then discovers Aunt Elizabeth is actually Mrs. Carleton Random. More hilarious additions to mistaken identities include David’s introduction to Aunt Elizabeth’s friend and big game hunter Major Applegate, George the dog’s compulsion for burying bones (even if they are rare dinosaur bones), and intersecting with a traveling circus that loses a far-from-tame leopard of their own. In the end, identities are restored and both Susan and David find what (or who) they were looking for all along. Unlike Cary Grant who was well-versed in comic timing and gags, this was Katherine Hepburns’ first attempt at comedy. Howard Hawks needed to train her with the assistance of hired veteran vaudevillians. One comic that came to her aid was co-star Walter Catlett, who plays Constable Slocum. Hepburn was so grateful that she asked Hawks to make Catlett’s role larger so he could also be more available to coach her. While comedy was not natural to Katherine Hepburn initially, the results show she learned quickly as the perfect companion to Cary Grant’s comic timing mastery. However, Hepburn did feel like a natural around the trained leopard. She would fearlessly even pet it. This was just the opposite for Grant. For any scenes where his character was supposed to interact with the leopard, a double was utilized. Once, to tease him, Hepburn popped a stuffed leopard through his dressing room vent. She wrote in her autobiography Me: Stories of My Life, “He was out of there like lightening.” However, Hepburn did experience a close call once with the leopard that caused the trainer to decide upon no more free roaming of the leopard on the set. She was wearing a long skirt with metal beading trim that created shimmering effect with movement. As she moved suddenly, the leopard lunged for her back side. Hepburn was saved only by the quick intervention of the trainer’s whip. From then on, Hepburn used more caution around the leopard. This film did not do well at the box office at the time of it’s release. Poorly enough that Hawks was fired from his next production at RKO. However, it has since proven to be one of Howard Hawks’ best comedies of all time. I’m certainly in agreement. 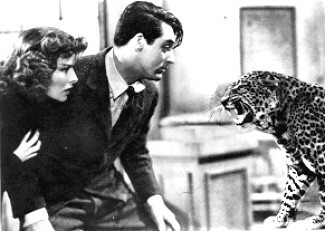 To me, BRINGING UP BABY is everything a romantic comedy should be. And if Cary Grant’s David in his round spectacles looks a bit familiar, you’re right. Howard Hawks modeled David after silent film legend Harold Lloyd, right down to those iconic glasses. Hope to see you at Summer Under The Stars @TCM! I'm glad you enjoyed my write-up, Joel! And the movie itself is just SO fun, isn't it?! There are many great scenes like the purse mix-up in the nite club and the golf course with the cars… hilarious stuff! And yes, my wallpaper is the French version of the movie poster. It's beautiful and the colors are wonderful. I've always loved it! Thanks again, friend! It is such a fun post, Kellee! I didn't know Katharine needed extra training; she seemed so natural at comedy in earlier films. But she did shine here indeed! I remember years ago making a connection to Bringing Up Baby with What's Up Doc with Ryan O'Neal and Barbra Streisand. I thought about it as you perfectly described the bone that David needed for the dinosaur. LOL! (Like Howard [O'Neal] and his "igneous rock" collection!) They were both straight-laced scientists down to those glasses dealing with distracting women! Thanks for sharing!! Thanks so much, Aurora! Aren't the fun little bits of trivia so fun to discover?! You are very kind, Tonya! Now that you bring it up, I recall that connection to What's Up Doc, too. 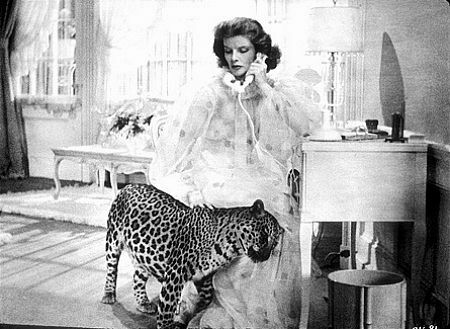 And yes, Katherine certainly did shine in Bringing Up Baby. She picked up her comedic instincts quickly! Bringing Up Baby will always be my number one film. Lovely post. I have such fond memories of the film, and it's a pleasure to watch every time. Peter Bogdonavich had Bringing Up Baby in mind when he made What's Up Doc, and included very specific gags from Bringing Up Baby, such as when both male leads' coats are ripped. 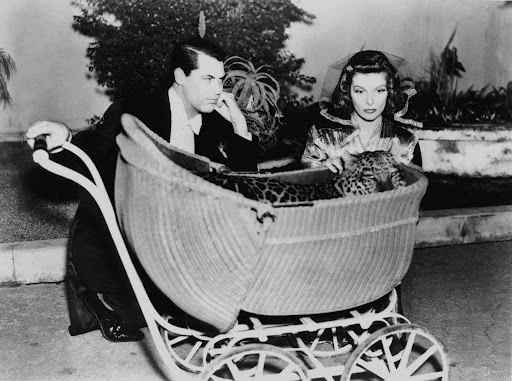 Bogdonavich also provides a nice audio commentary on the Bringing Up Baby DVD. Love this movie. Love this post! Of course, my affinity for Kate. But, *sigh*, Cary freaking Grant. Definitely #1 on my "list". Yes, my husband knows. So wonderful to read fellow like-minded fans. Thanks for adding commentary regarding Peter Bogdonavich and him being influenced by Bringing Up Baby. I'm following your blog now rots28! SO great to meet a fellow BUB fan! Thanks again! I completely understand. I admire Kate tremendously. My hubby has been a rather good sport about my Cary Grant 'issues' as well! ;)Thanks again Jacqueline! I didn't realize this wasn't a huge hit when it was first released – hard to imagine! Thanks for a terrific review of a terrific movie. That was a wonderful piece on Christopher Strong- I especially enjoyed the photos. Margaret, I too discovered Cary Grant via BUB and The Philadelphia Story at a similar age. 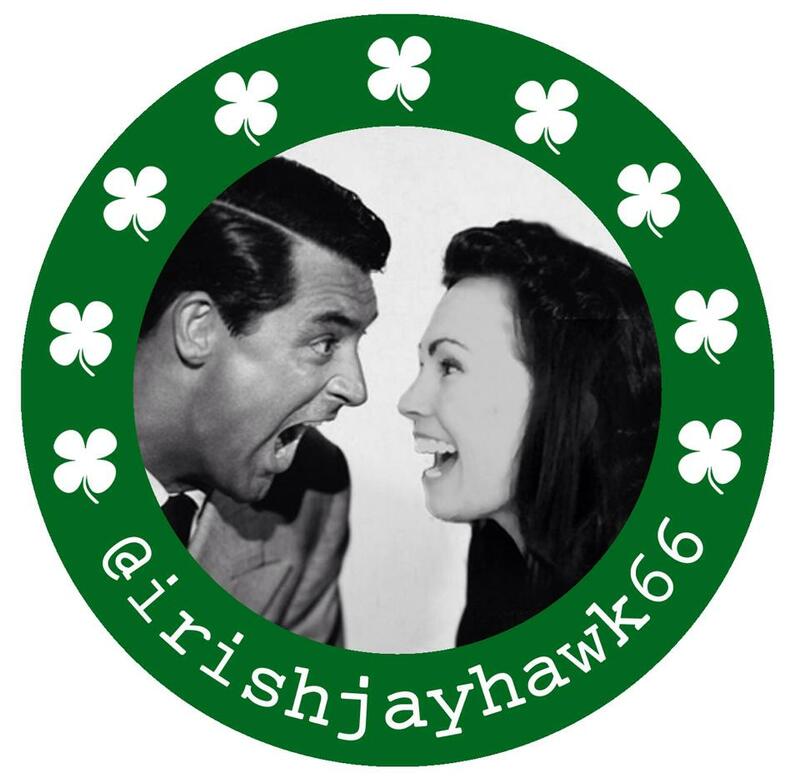 My admiration for them both has never wavered, especially my enormous crush for Cary Grant! Thanks for your comment – VERY kind of you! And, it IS shocking to believe it wasn't well received at first indeed!